As the leader in pipeline safety, compliance and management, Compliance Services, Inc. in partnership with Energy Project Solutions, LLC invites you to attend our fourth annual conference. Each year the WRPO Conference group works hard to bring you top speakers in pipeline management from the government and private sector. This year's event will focus on applying new technologies to meet the changing needs of the industry. 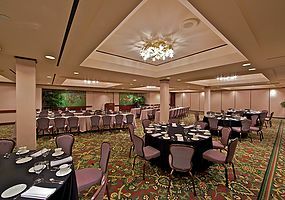 After an extensive search, we selected the Catamaran Hotel Resort & Spa for this year's conference. Located on San Diego's Mission Bay and across the street from the vibrant town of Pacific Beach, the Catamaran offers a wide array of entertainment and dining options when the conference finishes each day. ﻿This year's conference will hilight important leaders from the public and private sector. There will be sessions on the PHMSA rulemaking process, PHMSA final rules, NPRM regulations, California specific and new California coastal regulations. We will have specific sections on improving public awareness and relations as well as applying new drone technologies to pipeline management. ​Stay tuned for a full agenda coming soon! 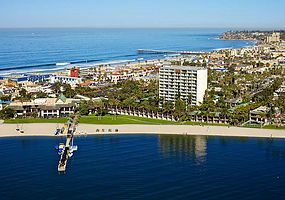 The WRPO Conference provides the opportunity to enjoy San Diego while socializing with your colleagues in the public and private sector. If you like to hit the links, plan on arriving on Sunday, March 6, 2016, We are currently in the process of selecting a beautiful course to play on Monday, March 7th. Please subscribe here to confirm your interest. Pacific Beach is America's craft brew capital and we are organizing a delicious tour for Tuesday night, March 8th. Please subscribe to Craft Brew Tour updates here.